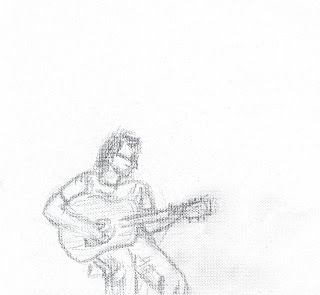 This is just a quick sketch I did of Ethan one day while we were up at Mount Tom for an afternoon. Esme and I brought our art supplies and Ethan serenaded us for awhile. For years I've been talking about making some album art for him and I told him this will be my first one - plenty of room for the title and easily printed.